It is comforting and inspiring to discover that even a master of metaphor can sometimes experience "word problems." Thank you for sharing your unique vision. Really great one. Most of us can identify with at least some of this. The internet has helped me be who I really am. Love the "speech balloons!" 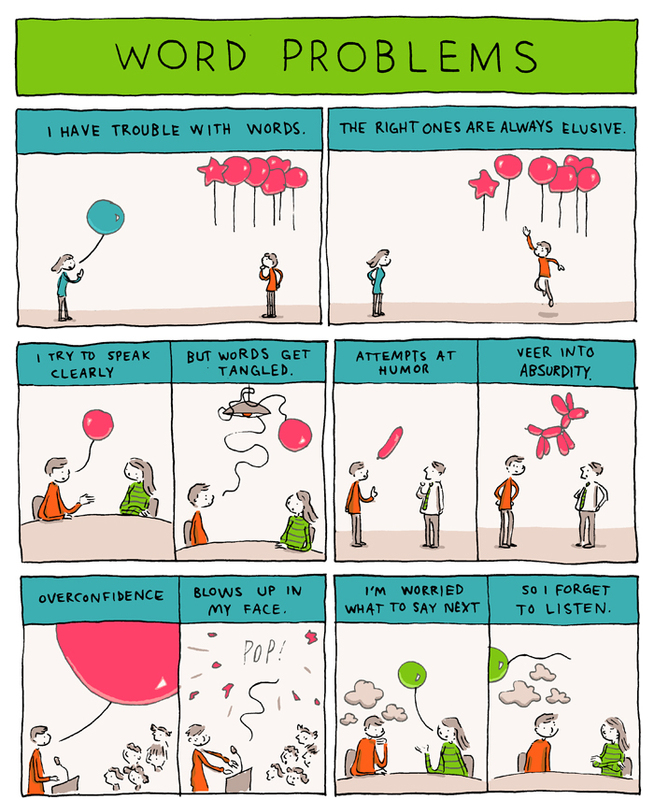 An introvert, I can relate to this all too well. Thanks. We the introverts easily can identify with these wrod problems! Great! I can identify with this problem. I grew up as an introvert. That is so me! Thank you for expressing it so beautifully. Beautifully said! 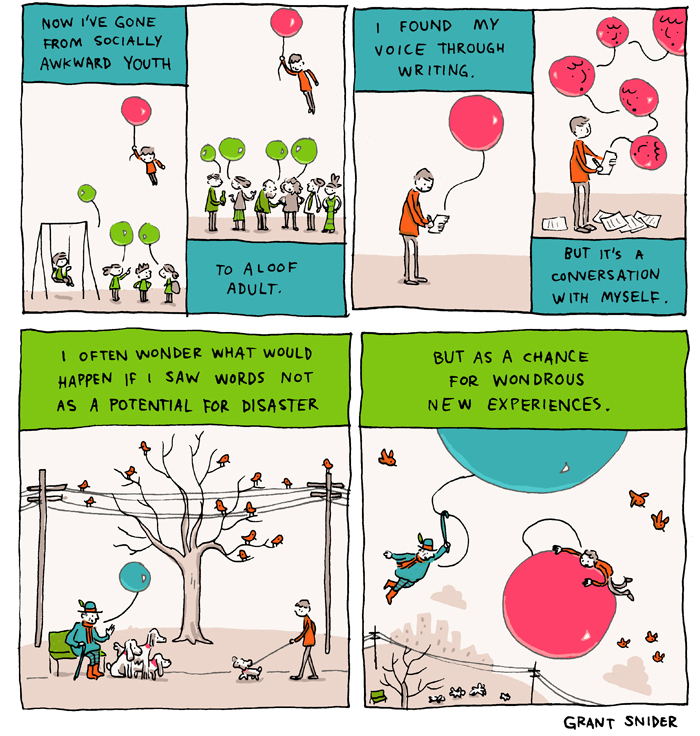 Writers often have trouble with spoken words, that's why they'd rather put words into writing. Yes, Beautifully put Grant. Thank you for this. as an introvert, this is so true.. 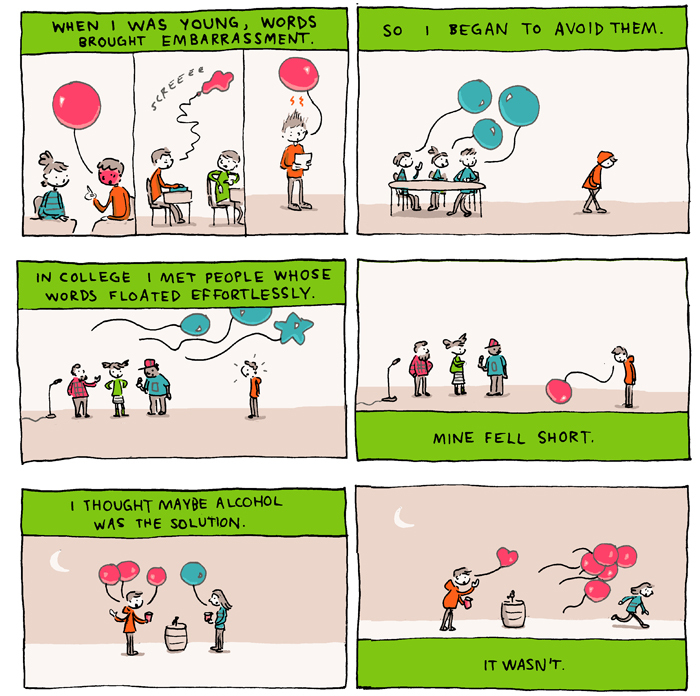 The balloons are such a lovely representaion for words. This is the most personal one yet. Especially liked this one, Mr. Snider! You just made me cry! Thank you for speaking my mind. and yet the words that make this post up are ironically,tailor made. words are so much kinder inside my head. I love this. Thank you. I love your comic and writing. Thank you. This appeases my guilt.